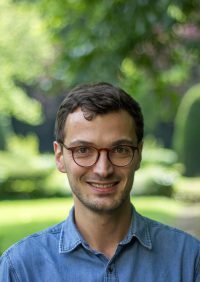 New publication of Gaël Le Roux in Business and Politics: “TTIP negotiations, policy convergence, and the transatlantic digital economy”. The Transatlantic Trade and Investment Partnership (TTIP) has the potential to be a landmark treaty on many grounds. According to European and American officials, one of the main features that should differentiate the TTIP from other bilateral free trade agreements is, beyond its unprecedented scale, the ambition of its regulatory dimension. On both sides of the Atlantic there is a strong incentive to mitigate the impacts of “behind-the-border” obstacles that mostly stem from existing divergences between laws and regulations applied in Europe and in the United States. To do this, trade negotiators, together with policymakers and regulators, attempt, when possible and desirable, to facilitate the convergence of the policies that frame the European and the American markets. This paper analyzes how convergence may be reached with regards to the regulation of the digital economy, a relatively new area of interest in the field of trade law and policy studies, that seems to deserve a specific attention considering the growing importance it has taken at the domestic level and in the context of trade negotiations.